Did you know that there are different types of dentists? 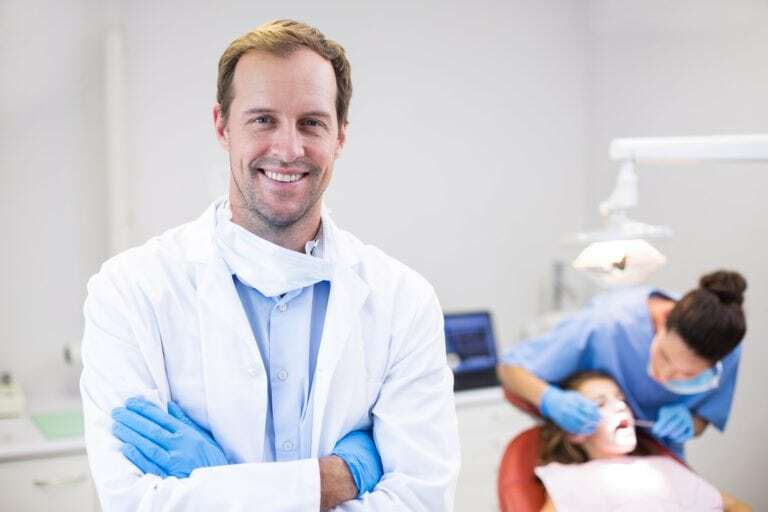 While there are several different types of dentists with different specialties, the type of dentists most people are familiar with are general dentists. But, what exactly does it mean to be a general dentist and what is their specialty? General dentists specialize in providing patients of every age with a variety of services aimed at preventing dental issues and maintaining optimal oral health. Their main goals are to prevent dental disease, halt its progression, or perform restorative procedures to treat issues caused by dental disease. To achieve these goals and keep their patients healthy, general dentists undergo extensive training. To earn the title of general dentist, they must first complete four years of undergraduate work, earning a degree with a strong science foundation. Then, they need to complete another four years of dental school. Once they have completed these eight years of schooling, the final step is to pass their licensing exam to become a practicing dentist. This extensive training enables general dentists to provide their patients with a wide range of services. These services usually include: preventative and restorative services, cosmetic services, and addressing overall oral health concerns and their relationship with general health. Because much of a general dentist’s work is focused on preventative care, they tend to perform several preventative procedures. A preventative procedure is any procedure aimed at detecting any possible warning signs of a disease and stopping the disease before it can begin. Preventative procedures can include: regular dental exams, x rays, teeth cleanings, and oral hygiene guidance and education. Besides preventative care, general dentists can also provide restorative care in cases where a dental disease has already developed. Restorative procedures are any procedures carried out as treatment for a particular condition. One of the most common restorative procedures performed by general dentists is removing tooth decay and filling the remaining cavity. In addition to this, general dentists also perform other restorative treatments such as placing crowns or bridges, fitting dentures, treating dental pain, and repairing damaged or missing teeth. Depending on the general dentist, they may also perform orthodontics, root canal therapy, or dental implants. General dentists can also perform cosmetic dental treatments to enhance your smile. Some of these cosmetic dental treatments may fall under restorative treatment, while others are strictly cosmetic. In general, cosmetic dental procedures are defined as those treatments that improve the visual aesthetics of your smile. Procedures such as teeth whitening, cosmetic bonding, and placing porcelain veneers are all examples of possible cosmetic dental procedures. Another import service that general dentists offer their patients is to assist them with their overall health. Since some dental conditions can affect overall health and vice versa, general dentists work with their patients to address these possible issues. Overall health concerns such as pregnancy, heart disease, diabetes, and autoimmune disease have been found to both influence and be influenced by oral health. This connection between overall and oral health is one that general dentists understand well and they are able to provide their patients with the proper guidance and care.